What Is The Center For Social Commerce? Newhouse is known for many things, including its top of the line facilities that surpass even industry standards, its prolific and involved faculty/alumni network, but especially the countless opportunities available to students during their time on and off campus. What is the best part about Newhouse’s professional master’s programs? They are only one year! What is the worst part of Newhouse’s professional master’s programs? They are only one year… Undergrads have four long luxurious years to discover and experience all the great resources Newhouse has to offer. As graduates, somewhere between classes, homework, assistantships, research, building meaningful relationships and trying to remember to feed ourselves and drink enough water, we also must find the time to take advantage of all the additional accouterments that make the school and this degree so valuable. The W2O Group’s Center for Social Commerce is one of the unsung gems in Newhouse’s arsenal of useful resources for students, and I am not just saying that as the Center’s current graduate assistant. I mean it! 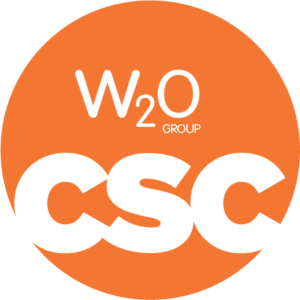 Founded in 2012 as a partnership between the W2O Group and Newhouse, the CSC has enabled more than 1,000 students to better compete in a social and digital world. It aims to ensure students are immersed and educated in social commerce, social media, and comprehend the role of analytics in the field of communications. Contrary to its title, the CSC does not have a brick and mortar presence on campus, at least not in the way the Career Development Center does. While you can always stop in and visit Professor Maria Russell who oversees the center’s operations in Newhouse III Rm. 314-A, the best way to take advantage of this phenomenal industry-academic partnership is to attend Social Commerce Days which take place each semester. The Fall 2017 edition of Social Commerce Days is especially exciting as the center is celebrating its 5th anniversary. In honor of this milestone accomplishment, they will be rolling out a new website design, making it even easier for students to get involved and access the center’s wealth of resources year-round. Events and activities will run November 8-10, immersing students and professors in the latest thinking on social and digital strategies, tools, techniques and models. 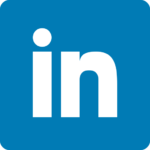 There will be keynote speakers from a variety of industries, as well as interactive workshops, networking, and career guidance opportunities with W2O Group staff. Another incredible opportunity the CSC affords both undergrad and grad students is the W2O Affiliate Internship offered during the summer. Exclusively available to Newhouse students, this eight-week internship is unique in that it combines both in-house and agency communications experience at the W2O Group and Medtronic, one of the world’s largest medical technology, services and solutions companies. Interns spend the first four weeks working alongside leaders in analytics and healthcare at the Minneapolis office of W2O Group, and the following four weeks in-house with Medtronic’s communications leaders. Best of all, the program includes transportation, a housing stipend and hourly compensation for your work during both phases! If this awesome opportunity interests you, reach out to Professor Russell (mprussel@syr.edu) for more information. In some ways one year can feel like an eternity when you are juggling the mountain of responsibilities that come with being a graduate student at such a competitive institution, however, time flies regardless if you are having fun or not. Leaving with the Newhouse name on your diploma will open all sorts of professional doors, but building those networks begins now! 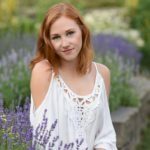 Aspiring arts advocate and creative problem solver, Katherine Arts has years of exposure working and learning in a creative environment. Arts is currently pursuing an MS in Public Relations, studying methods to effectively communicate and advocate on behalf of artists and arts organization. She is passionate about empowering and supporting women and is interested in serving as the bridge between artist and institution.